Warm weather means one thing to me: dinner on my back porch, and trust me, this wine tastes 1000% better when it’s drunk outside on a warm afternoon. This is everything I want from a wine this time of year. Lots of bright fruit notes including lime, peach, pear, and honeydew melon. Pair with a salad or any spring vegetable you get from your garden. This wine is full of baked plum, fig and date aromas. Maraschino cherry and kirsch liqueur both come to mind, along with the aromas of ample baking spices. A deep, inky purple color, over time the wine will paint your glass a delicate shade of pink. Delicious now, with cellaring it will evolve and grow into the seductive wine it promises to become. Did someone say rosé?! It’s that time of year again, and there’s no better way to kick off the summer than with this amazing wine. Notes of strawberry and watermelon are prevalent here, but they’re combined with a lovely scent of fresh air. This beautifully colored wine has slightly copper tints that make it sparkle in the glass. Cheers to the return of warm weather! 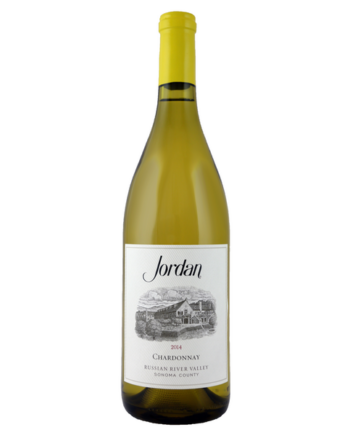 Higher acid makes the fruit in this wine seem crisp and fresh with notes of white peach, pear, and apricot. The oak treatment is balanced and serves to elevate the fruit without overpowering it. Hints of vanilla and caramel are a wonderful compliment. I think this wine is ideal for pairing with seafood or chicken and will be a wonderful wine to enjoy in the warmer weather to come. “If you’re a fan of either Sauvignon Blanc or Pinot Gris, you’re going to like this wine, as it tastes like a unique blend of the two. It’s actually a relative of Sauvignon Blanc, but with light pink grapes. Light and crisp, this wine is full of herbal notes like dill, celery, and fennel. It would make a great pairing with salads, appetizers, and shellfish. We’ve been fans of Screen Door Cellars for a while now. 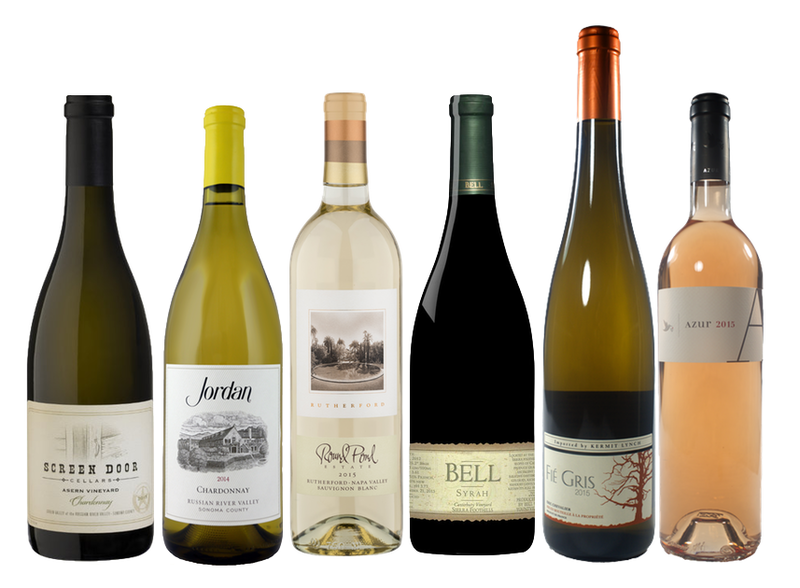 They’re producing some of our favorite small-batch wines coming out of Sonoma. This is their first ever bottling of Chardonnay, and it’s quickly become a constant presence at my dinner table. A mature oak program lends notes of lemon pound cake and crème fraiche. On the palate, you’ll find yellow apples, pie crust, and vanilla mouse. Some months, choosing the wines for Shamrock is one of best parts of our jobs here at O’Looney’s. We get to dig deep into the portfolios of our distributors and find the hidden gems that no one else has found. It’s really fun to imagine your reactions to what we hope will always be a new and, at the very least, interesting bottle of wine. Unfortunately, April wasn’t one of those months. This time, finding the wines was like pulling teeth. As is common when people discuss things they’re passionate about, some disagreements can arise, and we had a lot of…passionate deliberations about this month’s selections. We didn’t like the idea of a third bottle of Chardonnay in a row. And though we agreed that it would be an interesting selection, we couldn’t find a distributor who carried any of the Listan Blanco wines grown on the Canary Islands. We briefly toyed with a few ideas from Washington state and New Zealand, but we eventually found inspiration in our own recent trip to Napa. As I mentioned in last month’s Shamrock blog, Keegan and I recently spent a week in California drinking all the wine we could find. We’d both tell you that one of the highlights of our trip was our visit to and lunch at Round Pond Estate. Located in the heart of Rutherford, Round Pond is almost in the exact center of Napa Valley. The Estate has been growing grapes for decades and has long been one of the most sought after producers of fruit on the valley floor, but it wasn’t until the late 1990’s that the MacDonnell family, owners since the 1980’s, decided to start making their own wine. You may have had “Kith & Kin,” their entry level wine, as it’s one we all try to recommend to clients because of its excellent value, but this is their estate wine (hence the photo of the eponymous round pond on the label). 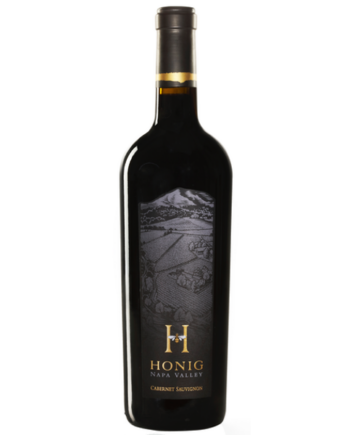 Made entirely of fruit grown right on the winery grounds, this is 88% Cabernet Sauvignon and 12% Petit Verdot. While you might think that 12% isn’t much, it’s that small percentage of Petit Verdot (PV) that makes this wine so special. PV originated in southwestern France, near Bordeaux during the time of the ancient Romans. It was planted in Bordeaux long before Cabernet Sauvignon, and up into the mid-1700’s, was a leading grape in most of the region’s wines. Today, PV is most commonly used as a blending grape, with usually less than 10% making its way into the finished product. PV is added to wines for any of three main reasons: to add a deep purple, almost black color, to increase tannins, and to add its uniquely spicy yet floral flavors to the blend. As you’ll see in your wine this month, the PV is doing all of those things and more. PV is one of most tannic wines in the world, and those tannins, especially when combined with the solid tannins coming from the Cabernet Sauvignon, provide a huge springboard for the wine’s fruit flavors while also creating a solid backbone that will allow this wine to age for years. Don’t worry if you don’t get around to cracking this one open anytime soon. I’d say you’ve got until the early 2030’s before this one even starts to head downhill. Now, I’ve talked a lot about the PV, but I don’t want to ignore the Cab, here. It is, after all, the real star of the wine and that’s because the quality of the individual berries that went into this wine is just so ridiculously high. Of all the parts of Napa Valley, there may not be a region that produces Cab as well as Rutherford. Most people will say it’s a product of the “Rutherford dust,” the red, dusty soil the area is known for. What does that actually mean? Well, on the palate, you’ll notice key notes of cocoa powder, eucalyptus, and mint, while the tannins are a bit more subdued, more rounded, more “dusty” than the “kick in the face” tannins you’ll find in other parts of the valley. In fact, it’s these dusty tannins that the PV’s brash tannins hold up over the many years of aging. When you open this wine, you’re going to first notice how deep and dark the color is, so purple it’s almost black. That comes from the PV, though if you age this bottle for a long time, you’ll notice a significant color change. You’ll also pick up the aromas of ripe blackberries, black currant, cassis, and just the faintest hint of lavender (another telltale sign of PV). On the palate, black cherry and raspberry are most noticeable, with notes of pepper, coffee, and dark chocolate on the finish. For a wine like this, you’re going to need a meal that can stand its ground against such a powerful wine. I had this wine with steak recently for my birthday and it was perfect. If you’re doing beef, I recommend a cut with a bit more fat like filet mignon, hanger, or New York strip. Also, please do the world a favor and decant this. Thirty minutes will do wonders but ninety will make your life better, I promise. Well, to explain, we have to delve into one of the many misnomers in the wine world. Portugues Vinho Verde isn’t actually green, well, at least not really green. Though literally translated as “green wine,” the more correct meaning is “young wine.” Also, Vinho Verde is not a specific grape, but a large growing region in northwestern Portugal along the Atlantic coast. In Portugal, it’s quite common to see the Vinho Verde label on wines that are either red, white, or pink, though white Vinho Verde is most commonly imported into the US. And yes, depending upon which white grape the wine is made from, there can be a slightly green tint to the juice. Your rosé this month is made from the grape Vinhão (veen-HOW), a rare grape outside of Portugal where it’s typically made into red Vinho Verde. The interesting thing about Vinhão is that it’s a teinturier or a red grape whose flesh is also red. This is actually quite rare among red grape varieties, and it’s the factor that produces such a vivid hue in this wine. While the juice of many red wines is left in contact with the grape skins for several days or weeks in order to impart a deep red color, this rose’s color was imparted straight from the juice, as the skins were removed from the juice immediately after pressing. To give you an idea of the color of a true Vinhão wine, look for a bottle of Port. Vinhão is often added to Port wine blends to add an inky purple color. Color aside, this wine is bright with fruit notes of strawberries, watermelon, and cherry. It just tastes pink! We recommend pairing it with a light salad or an afternoon spent outside. This is a no-frills wine meant for enjoying on the beautiful weekends we’ve been having. While attending college in New Orleans in the early 1970s, Peter took a job as a waiter in a French restaurant and became infatuated with classic French wines and food. His wines of preference were those from Bordeaux and the Rhone Valley. He pursued a career in the restaurant industry and served as manager and wine buyer at several restaurants before realizing that he belonged solely in the wine business. He ventured into wine retail, then into wholesale distribution, and then started a wine marketing and sales company. These pursuits took Peter to his favorite wine regions of Europe to learn what the best properties did to make their wines special. These also led him to California during the wine renaissance of the late 1970s to meet the new small, artisan producers. After working crush at two different wineries, Peter decided that he wanted his own small winery to make unique wines to add to the wine world. In 2000, he finally moved to northern California to take a position with a wine importing company and the temptation was too great. 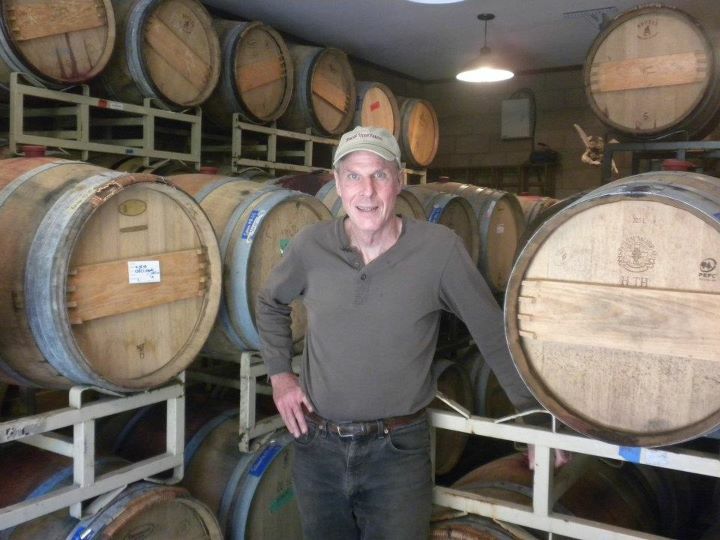 He bought his vineyard in Glen Ellen and Spann Vineyards was born. Most people in this industry can trace their love of wine to a specific wine that ignited their passion. Do you have a wine like that? If not, how did you get interested in the industry? I started college with no idea what I would do for a career and took a summer job waiting tables at a French restaurant with an aggressive wine program. This was my first exposure to fine wine and food and it transformed my life. It fascinated and intrigued me and at age 19 I decided I would spend the rest of my life involved with wine and food. Taking time off. My wife and I are the only employees and we enjoy every aspect from farming to crushing to blending, bottling, branding and selling so we tend to work seven days a week. What’s it like running the winery as a husband and wife team? Do you think that gives you an advantage that other winery teams may not have? We know each others’ strengths, weaknesses, and tolerances very well so it’s easy to divide up responsibilities and to know when the other person needs help and when to leave them on their own. What’s been the most rewarding thing about your career? Bringing joy to other people through something we created. Who are the people in your industry that your most admire? For the wines they’ve made and the things they’ve taught me: André Tchelistcheff, former winemaker at Beaulieu Vineyards, and Gary Andrus, founder/winemaker at Pine Ridge Winery. I also admire wine shop owners and restaurateurs who seek out lesser-known great wines to offer their customers rather than rely on wine writer’s recommendations and ratings. If you weren’t making wine, what career would you have? I would love to be a sculptor because I admire people who can take what seems like nothing and create something beautiful out of it that people could enjoy for hundreds or thousands of years. Unfortunately, I have no talent in this regard so I had to settle for winemaking for my artistic expression. What advice would you give to people who wanted to get into the industry? Surround yourself with people who know a lot more than you do about whatever aspect of the business you want to be part of. I managed to do that at an early age and it served me well. When hand selling your wines, we’ve been able to introduce our customers to grape varieties they aren’t used to seeing (like Viognier, Semillon, Cinsault). Overall, you’ve come up with some unique blends. Was it your original goal to focus on blends? If not, how did that come about? We started our winery during the 2001/2002 recession. The dot-com bust happened, followed by the 9-11 attacks and wine consumption dropped dramatically. Many highly regarded wineries were closing out Chardonnays, Cabernet Sauvignons and Merlots at half price so we decided it would be foolish to make the same wines that the market already had too much of. Betsy and I grew up on French wines, most of which were blends so we simply made the style of wines we knew and enjoyed. If you were stranded on a deserted island with only one drink (not your own brand), what would it be? Chateau Latour, preferably between 20 and 40 years old and hopefully many bottles of it. Currently, we sell our wines in 19 states. I’d like to maintain our current volume but reduce the number of states by one-third to one-half. This would simplify my life, allow me to focus on the markets where we have the best response to our efforts and spend more time in these markets. Arkansas will definitely be one of those. Want to try some of Kristin's wines? You can now buy them online and pick them up in store! 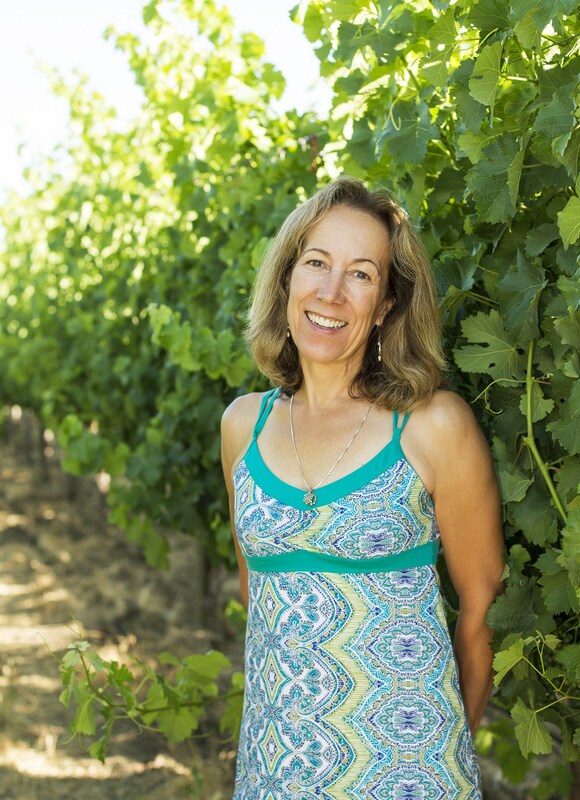 While attending UC Davis, Kristin Belair serendipitously stumbled upon an answer to a daunting career puzzle – for someone unable to choose between a multitude of disciplines, winemaking was an elegant solution. When she’s not feeding her passion for winemaking and growing grapes, Kristin can generally be found engaging in some kind of outdoor activity. Her current favorites are skiing, running, mountain biking, and climbing. I don’t have a particular wine that got me interested in the wine industry. It was rather a synchronous crossing paths with a classmate at UC Davis, who had just switched his major to Winemaking. I was in biochem at the time and contemplating how on earth I would pass a year of upper division physical chemistry. His enthusiasm inspired me to investigate the winemaking path and the rest is history. Bottling! While it mostly goes smoothly it can get tedious and be fraught with complications, even with lots of prior planning. The people I work with and the places I work in. Early mornings in a vineyard are so beautiful. 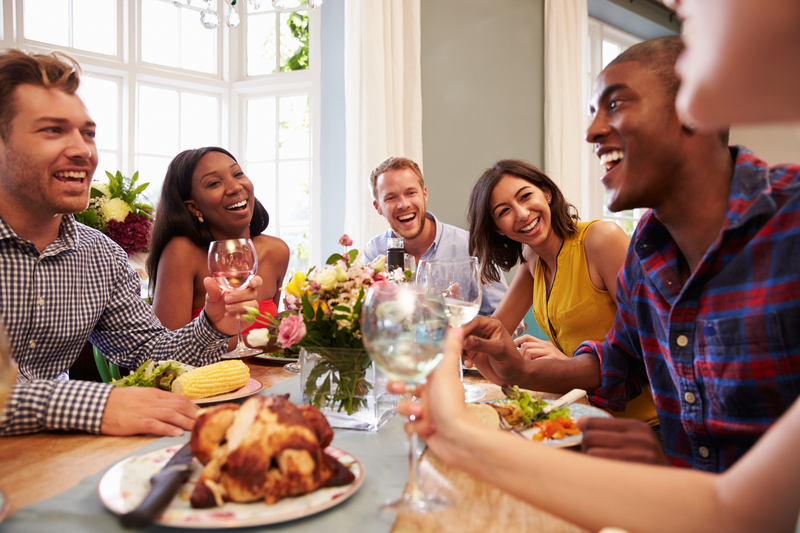 And, the stories people share about the wine they enjoyed. As a winemaker, have you ever made a mistake in a vintage? There are new things to learn from every vintage. What we initially may think of as a mistake becomes a window to refining our methods. What your most listened to Spotify/Pandora/Sirius station? Usually, some form of rock, but I’ll switch it up to jazz or classical pretty regularly. Beer! A nice hoppy IPA.